ELKHART LAKE, Wis. (June 5) — The KWR team of Kyle Wyman and Bryce Prince scored top ten and top five results this past weekend at Road America in Elkhart Lake, Wis. Wyman battled bike setup troubles to finish 8th and 10th in Superbike while Prince finished 5th and 7th on his Excelsus Solutions/KWR Yamaha YZF-R6. Wyman was off to a quick start in Friday practice, posting the 8th fastest time overall on the day. 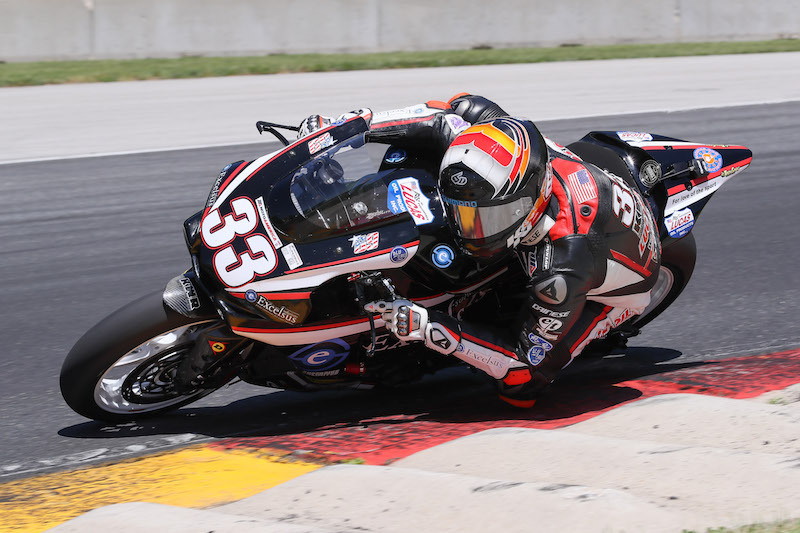 The team was determined to adjust to a newly released rear tire from spec-tire supplier Dunlop, who brought a new profile to Road America that would be mandated from that point on. Wyman posted his personal best ever time around the Road America circuit that Friday, at a 2:13.558 – a full second faster than he’d ever been at the 4-mile Wisconsin circuit. Where things went wrong however, was the fact that Wyman would never match that time again throughout the weekend, other than his Saturday morning Superpole time of a 2:13.452. That time would put him 10th on the grid. In race one Wyman got off to a blistering start and found himself in 5th place into turn one. As quickly as he made that headway, he dropped like a rock back to 9th spot, struggling with rear grip and front end feel. His fastest lap of the race was a 2:14.717. He finished 8th. Without reverting to Friday’s bike setup, the KWR team put together another attempt at a balanced bike for race two. Wyman got two more great starts during the red-flagged race, but again could not hold the pace and dropped back as low as 9th. Some sputtering from a lack of fuel put him 10th at the stripe. The fastest lap of Wyman’s race was a 2:14.643, still over a full second slower than his Friday practice time. The KWR team heads to Sonoma Raceway for a private test on June 11th, the track that Wyman considers his worst on the circuit from a familiarity standpoint. Wyman sits 7th in series points standings after four rounds. 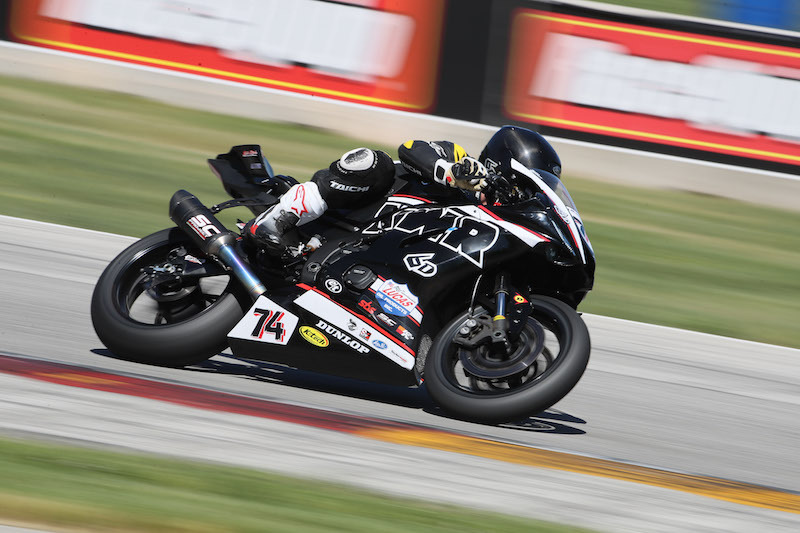 KWR Supersport rider Bryce Prince found his way to the top-five at Road America on his Excelsus Solutions/KWR Yamaha. The Californian found the right setup on his K-Tech suspension to put him in the fight for the front, and another step closer to a podium result.